Do You Have A Vacant House You Need To Sell? We Buy Houses Fast. Get A Fair Cash Offer And Quick Close! We know the stress involved with having a vacant property. We're a group of experienced homebuyers looking for houses in your area. ANY size, location, condition, and price. We are ready to make you a cash offer and close quickly! Sell Your Vacant Property Now! 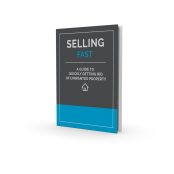 Complete this short form and receive a fair market offer on your property PLUS get immediate access to my brand new FREE report, "SELLING FAST: A Guide To Quickly Getting Rid of Unwanted Property." © Karen Huang All Rights Reserved.